When last did you make someone happy? In today’s modern age we can get so wrapped up in our own problems and schedules that we can forget about what makes life truly happy… our relationships with others! We all have special someone’s in our lives… our partners, children, parents, siblings, friends… and these special people add to our happiness in a multitude of ways. I often wish I had more time for my friends but with a husband, kids and work responsibilities competing for my time it’s hard to squeeze time with friends into the schedule! Fortunately, over the years, I’ve found it a few ways to make sure my friendships are not forgotten, but it’s still not easy, prioritising friendships takes hard work and commitment. Yes, the very best friendships don’t need any work, you can usually pick up and connect after years apart with old school friends. But for friendships to grow, thrive and deepen you do have to put in some effort! After years of struggling in this space myself, I realised the old saying “the only way to have a friend is to be one” is certainly true and after some encouragement from my husband (who is excellent at maintaining friendships) I decided to be more proactive and started reaching out more often to connect with new and old friends alike. For us women it’s vital to find a way everyday to connect with a friend. In our busy lives it can be a challenge to find time for both of you to spend special quality time chatting one on one with no interruptions to derail the conversation. But I don’t want to lose my friendships because of the busy season of life I find myself in at the moment… (I’m led to believe) there will come a time when I’ll have more time, so it’s important to find ways to keep connected with my girl friends. To ensure I keep connected with my friends I’ve realised that it’s up to me… I can’t rely on other people to keep our friendship afloat. If it’s important to me I need to make an effort. Ultimately friendship is a two way affair so I can’t initiate ALL the time, but I certainly can’t initiate NONE of the time either! Relationship blossom from regular care and attention. Just like beautiful blooms we all need a little love to be able to give more of ourselves to the world! One of the best ways to show this love to your friends is by tapping into your “love language”. Have you heard of this concept? I first discovered it in a book called The 5 Love Languages by Gary Chapman. I have really found it so beneficial to identify the way in which I “receive” love, as well as the way in which I show my love for others in my life. And the idea is that you are usually 1 (or 2) in terms of giving and receiving love. This means that everyone important to you receives love in a different way (well, one of the 5 above!) So to be able to ensure you connect with the person and show them you love and appreciate them it works best when you use ALL of the above until you’ve identified which one they respond to best! This concept works for spouses, children and friends! In terms of growing my own friendships I now make a point of regularly doing the following which ensures I touch on most of the “love languages” with each special someone in my life… See if you can identify the “love language” on display in each of these suggestions? 2. A clever alternative to a coffee catch up is an exercise catch up – I’m fortunate to have a running group with some friends (including some new friends) and this allows us to run while catching up. Another friend and I regular go for long walk and talk sessions. Get fit and catch up = the perfect combo! 4. I regularly send Whatsapp messages to a handful of girl friends every week. Sometimes the same few friends, sometimes new ones. These aren’t always reciprocated but I’ve learnt to use this as an opportunity to tell them I’m thinking of them and that they are loved and special to me… without expecting anything in return. 5. Voice notes are an amazing way to connect with friends during an especially busy time – esp with those who work or live overseas on a different time zone. 6. A good old phone call does wonders! I’ve recently tried to connect with one of my longest standing school friends in this way once a month and it’s really helped! Use Skype or Whatsapp phone calls if the costs of an international phone call scares you! 7. At launches, parties or networking events I attend I introduce myself to at least one new person and ask a few questions to get to know them and create connection for the next time we meet. If I connect with a person I’ve just met I ask for their number and establish a conversation via Whatsapp, possibly asking to meet up for a coffee to chat about the industry/ project we have in common. 8. I look for ways to help my friends going through tough times – dropping off a meal, lifting their kids home from school, hosting a play date are all very practical ways moms can help each other. It takes a village so it’s important to find your village amongst those women who overlap with you daily. It certainly has helped me to reach out and establish new friendships among my fellow moms at the school gate! 9. If a mid-morning coffee catch isn’t possible then I find times that suit friends to connect, inviting them to a movie, show or book launch or suggest attending a creative evening event together like a painting pottery or a cooking class. Each pay your own way or alternate the cost. And sometimes it’s just nice to surprise them and cover the cost yourself if your budget allows! 10. 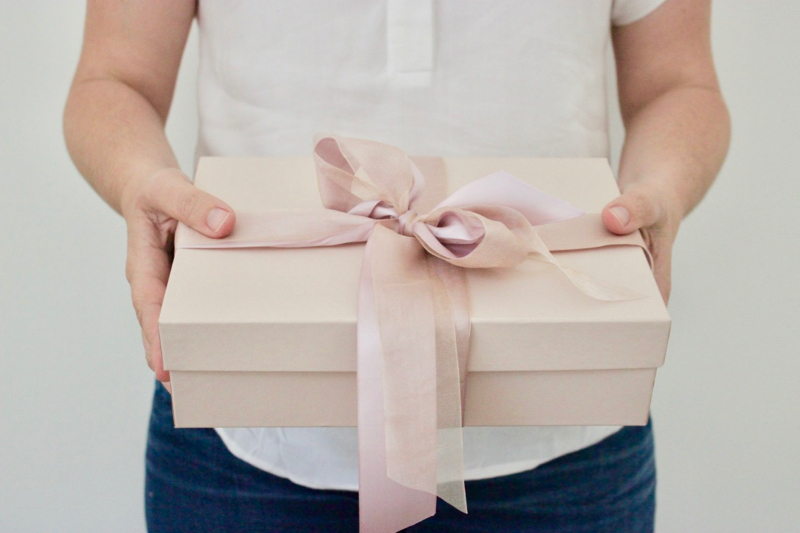 Unexpected gifts are one of the ways I enjoy spoiling people… (can you guess which is my love language!?) A bunch of flowers, a beautiful candle or a beauty treat they may not buy for themselves are always welcome! As adults birthdays can fall a bit flat so this is always a great day to make your friends feel special and loved. 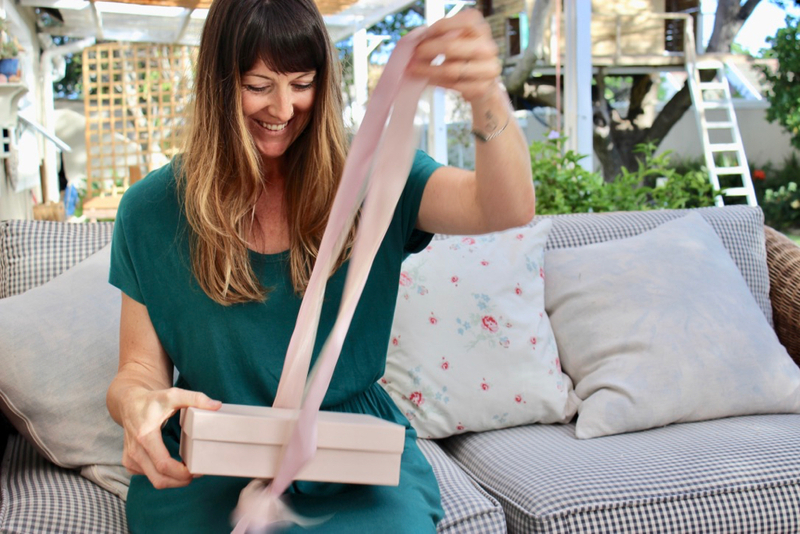 Think how much happiness you experience when receiving an unexpected gift or a flurry of feel good birthday wishes and treats. It really is a lovely way to make someone happy. 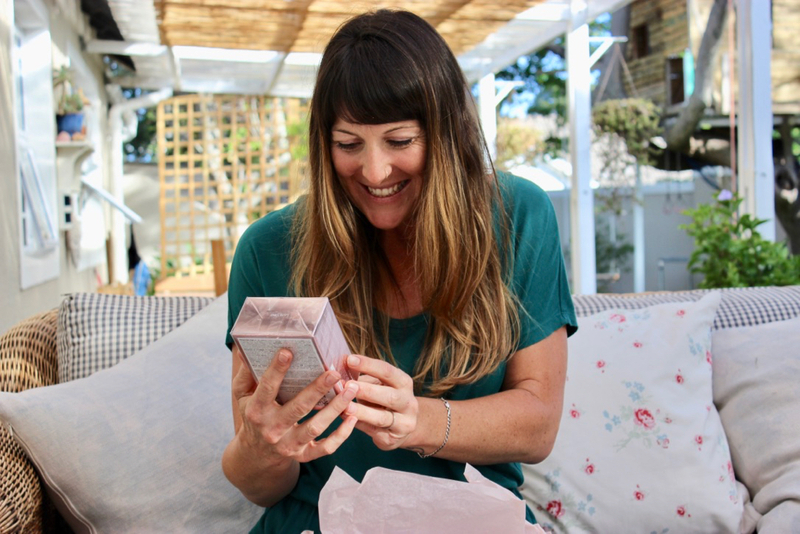 Recently Lancôme asked me to partner with them to #MakeSomeoneHappy and I jumped at the chance. I love spreading joy and the opportunity to light up someone’s life was too good to miss. We met earlier this year and have steadily become better friends ever since. Ironically both our daughters AND our moms are friends… it is surely a “meant to be” friendship!!! 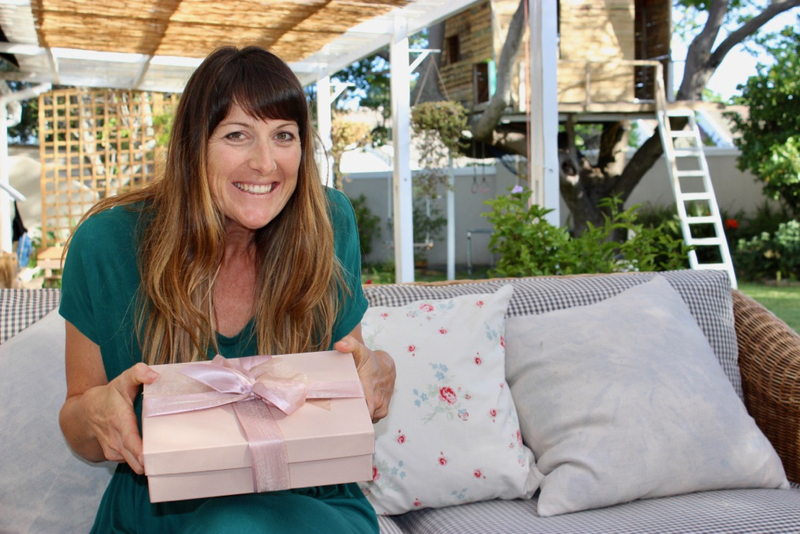 So I wrapped up a bottle of happiness and went to deliver my gift to say thank you to Tammy for her gift of friendship to me, her effervescent enthusiasm and her way of making life that much happier for me! Do you think my gift did the trick to #MakeSomeoneHappy?? 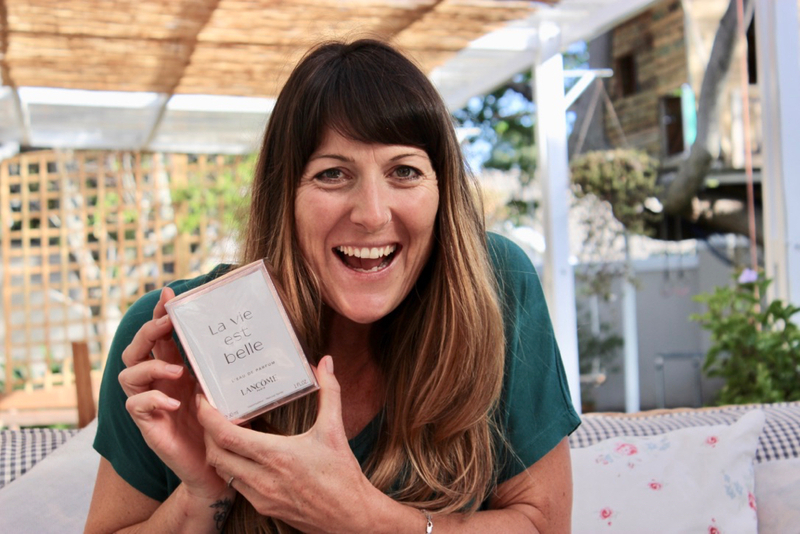 The most important aspect of joy and happiness is SHARING it and so spreading happiness with my gift of a bottle of La vie est belle by Lancôme was the perfect way to share some happiness around. La vie est belle Eau de parfum certainly is the fragrance of happiness! And the joy on her face was so contagious. I loved having the opportunity to #MakeSomeoneHappy. Thank you Lancôme! 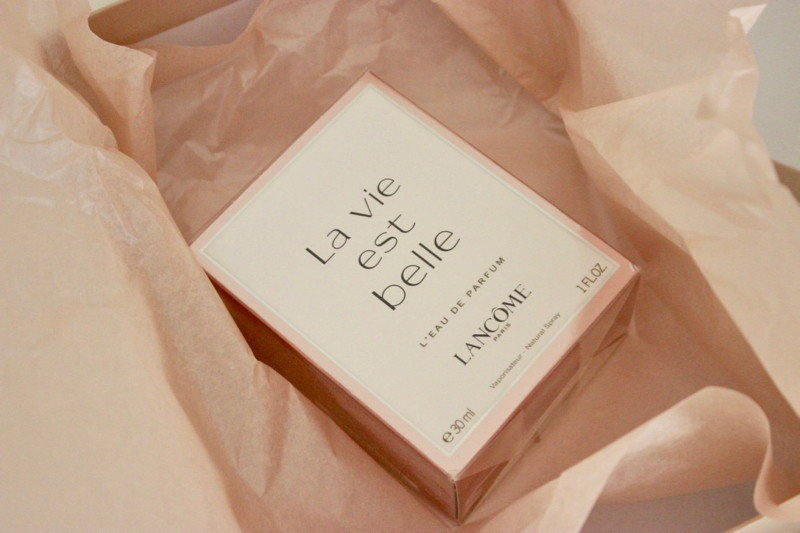 La vie est belle means “life is beautiful” in French and is a universal declaration to the beauty of life. 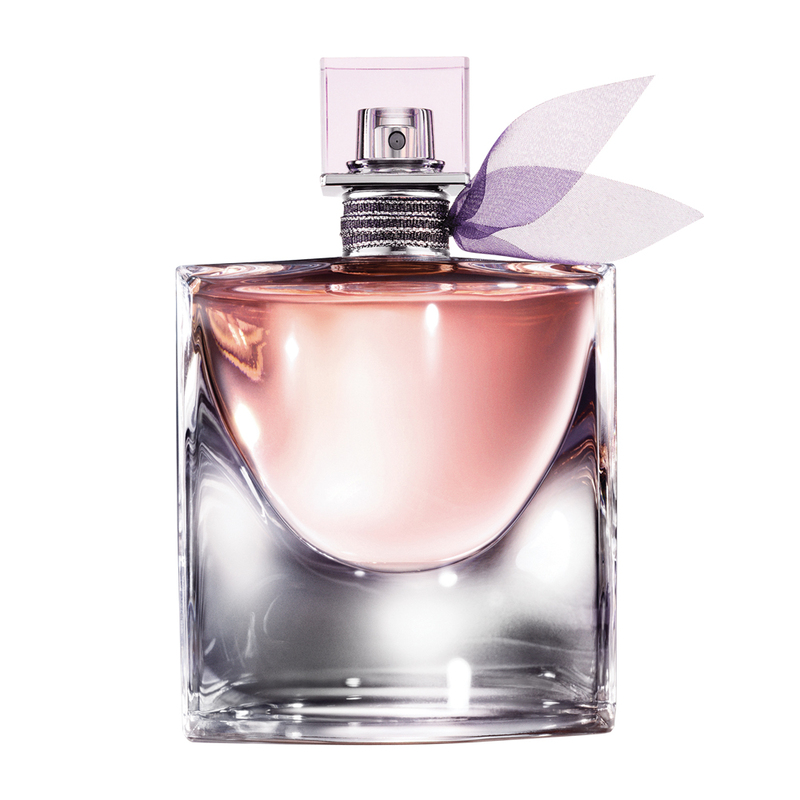 Lancôme’s La vie est belle is a feminine fragrance that’s free-spirited and fun. Ingredients of Concrete of Iris Pallida, Jasmine Sambac, Orange Blossom and Patchouli Essence create a balance of simplicity that mingles the nobility of iris and the depth of patchouli. 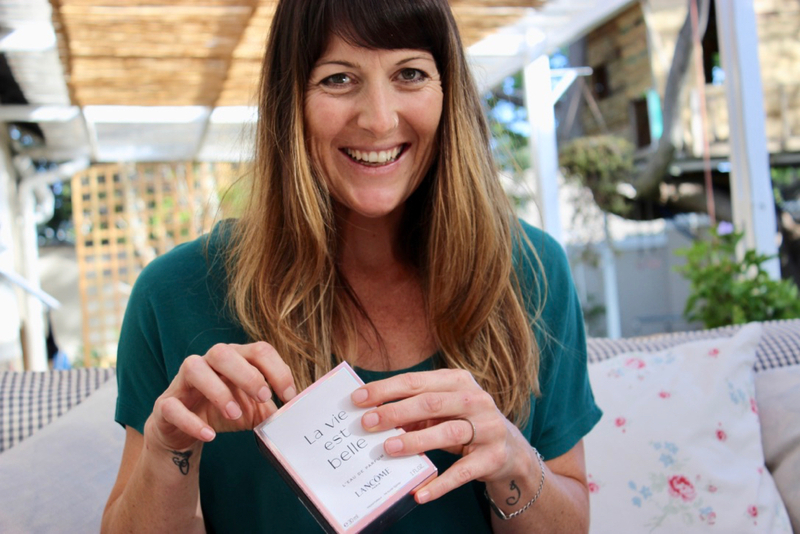 Julia Roberts perfectly embodies this gourmand iris fragrance, suffusing the space around her with happiness in the simplest gesture or smile and transforming the ordinary into the extraordinary! Doesn’t it inspire you to share happiness and multiply its’ effects! ?